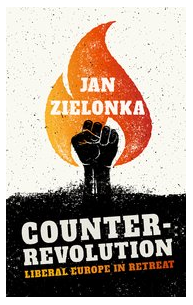 It is, without doubt, presumptuous to truncate Mr. Kundnani’s review of Mr. Jan Zielonka’s book ‘Counter Revolution’, but these historical insights as reviewed, explicated, indeed, illuminated by Kundnani, need to be shared with the largest possible readership! Unlike much of what is currently being written about “liberalism”, Zielonka also recognizes the complexity inherent in the term, which, he writes, “does not represent a single coherent phenomenon”. He is particularly helpful in disaggregating liberalism into distinct “streams”. “When we talk about the successes and failures of liberalism we need to specify which types of liberalism we are talking about”, he writes. Thus he is sensitive to the tensions between different elements and forms of liberalism and suggests that liberals have themselves betrayed the liberal project. In particular, he argues, neoliberalism “captured and perverted” liberalism and is “the prime factor behind the series of crises currently facing Europe”. The difficult question is where the EU – seen by some, particularly on the Right, as an illiberal project and by others, particularly on the Left, as a neoliberal project – fits into this picture. 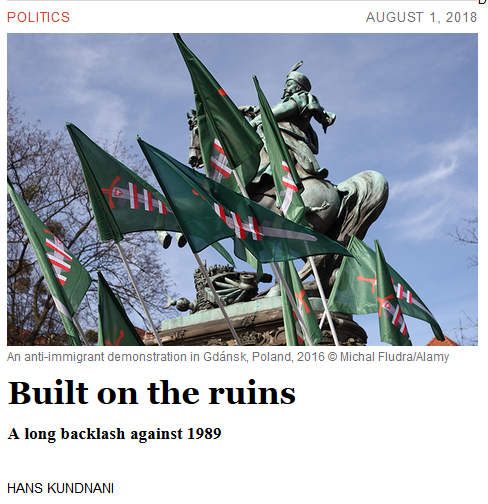 Zielonka writes that the EU needs to be “reinvented” and should reject the “neo­liberal agenda of deregulation, marketization and privatization” that it has “progressively embraced”. He also notes the connection between neoliberal economics and migration – neoliberalism, he writes, is dependent on continued availibility of cheap migrant labour”. Yet he stops short of questioning the principle of freedom of movement or its evolution in practice since the end of the Cold War. What more can a reader ask of a reviewer of books, than to present the writers ideas and their expression, through the lens of a critical intelligence and sensibility? Mr. Kundnani demonstrates the value of the exercise of that critical intelligence and sensibility.